Today was mostly uneventful. Jilda did get a great hair cut from her new stylist, and I got a case for my new phone, but otherwise not much happened here in Empire. Well...one the way to get the case, I did pass by a pink dogwood in full bloom. I was on a narrow forgotten back road. I don't recall the last time I passed a car on that old road. The pavement is rough, but those with good shocks or driving a truck, there are things to see. At one point at the crest of the one of the hills, you can see to the next county. Lakes and cattle dot the horizon to the west. The sunsets there are spectacular. But today was cloudy and the view as limited, except when I rounded the curve and saw the dogwood. I rolled down the window of my truck and pulled close enough to the tree to pick a blossom. I posted the picture on Instagram (rickwatson) and it got some love from my followers there. We'll see if it passes muster with my blog-buds. Yes, No, Don't Quit the Day Job? Very nice, but keep the day job. This is a beautiful shot and I love the colours of this dogwood. Old dirt roads are great to boot down on. It is a beautiful picture! And it also sounds like a beautiful day ! Love the color. Hope you're acing a terrific weekend. I can see why you were so enchanted with the tree. As far as your job do what makes you happy. Things go well around here when Sherry gets a good 'DO'. 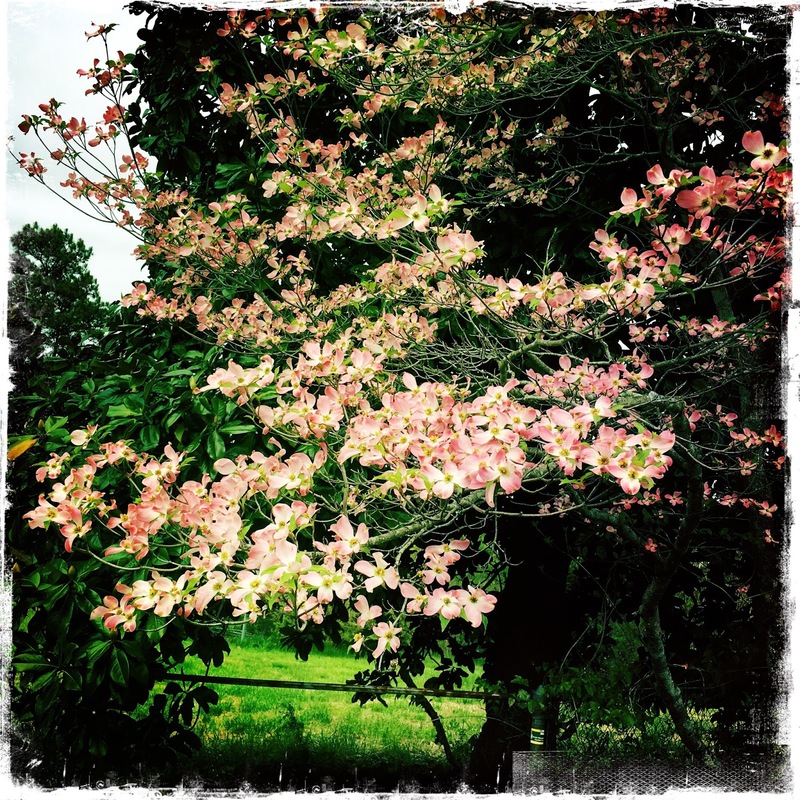 Love the Pink Dogwood. Hey we have a few roads like that, rough that is.